I love a bold lip. Red, HotPink, Coral you name it I rock it. I feel like it pulls together any look. Whether your going out or going on a coffee run in PJs. Its a game face thing. But as the temperatures rise, I tend to go for something more bare, more neutral, more naked. In the summer I feel like a bold lip all the time is almost too much with the humidity so I favor a neutral lip. I’ve gone through a few neutral lips and all of them make me look like a ghost. I’ve figured out over time that what I actually am looking for is a my lips but better color. A product and a color I do not need a mirror to put on. 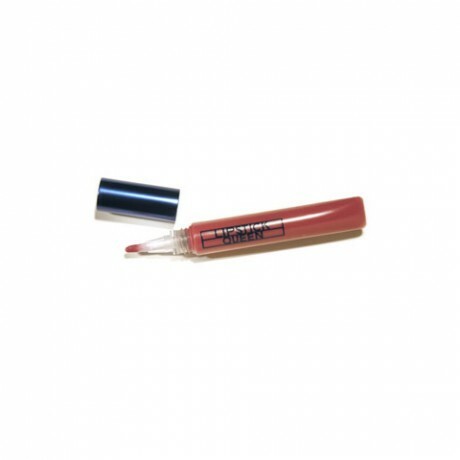 Last summer I was in love with Mark Gloss Gorgeous Stay On Lip Stain in Bare $11.00, which I talked about HERE, but as I neared the end of it I wanted a change and had been eyeing this gloss by Lipstick Queen called Jean Queen Gloss. I am in love. It is more pigmented and way more glossy than my Mark lip gloss, and this gives me more pop but its in the same color family and is definitely a my lips but better color. I love that I don’t have to worry about it on my teeth, migrating from my lips or fading and leaving a unsightly marks on my mouth. None of these things I want to think about when its 80 degrees outside and I’m at the beach or at an outdoor show or chillin’ on my friends roof. Also, I feel like I’ve been nonstop wearing lipstick for the last few months and I’ve really missed the feel of a gloss. There is a springy and carefree element to lip glosses. So if your feeling the pull of lip gloss too, look no further.